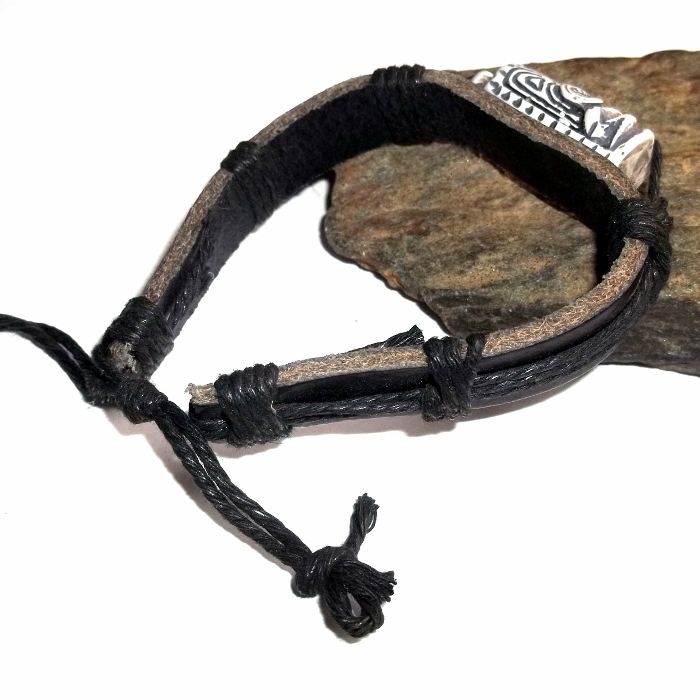 A Tibetan leather bracelet with a sliding knot cord made of thick black leather, cotton cord, and a carved Tiki totem. 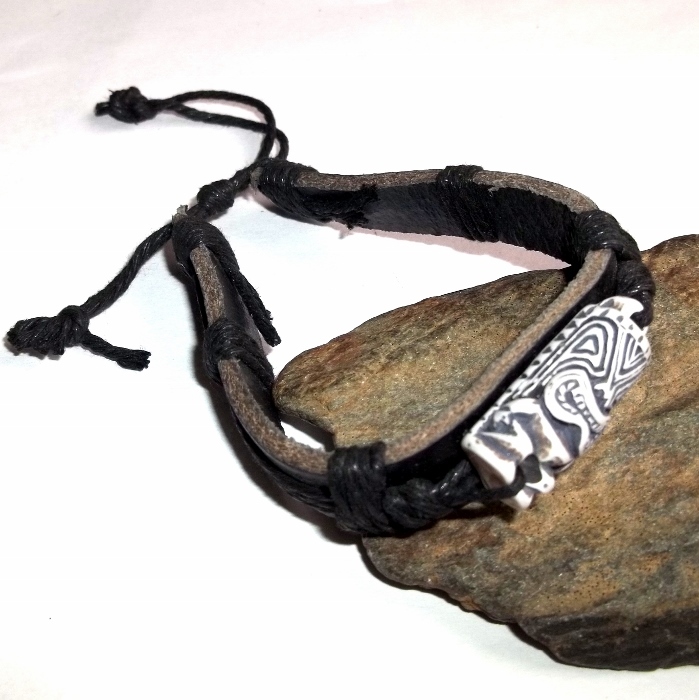 Each is adjustable with an interior diameter from about 6 1/2 inches to 12 inches, so you can wear them as a bracelet or anklet, whichever you choose. The Tiki totem is made from yak powder. 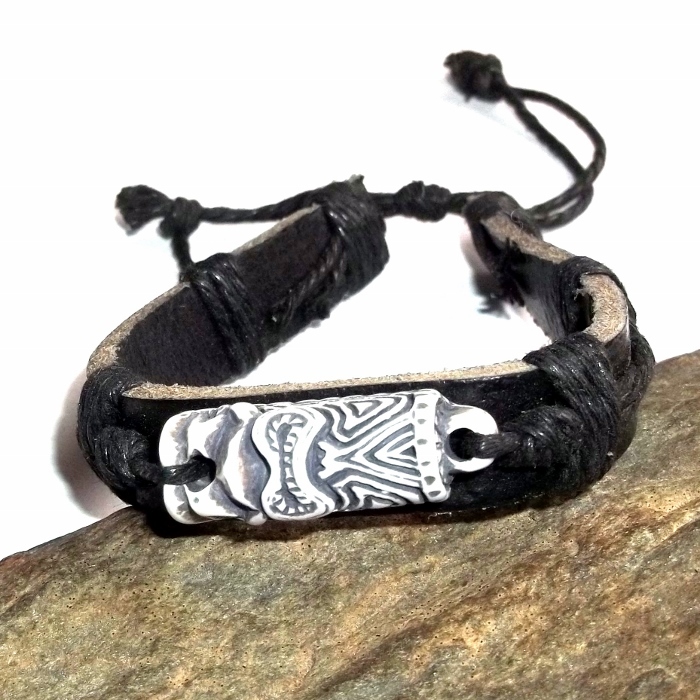 These bracelets are handmade in Tibet, unisex, and crafted with care with an edgy, surfer style. Yaks are the most important animals to the Tibetan people and they play a significant role in Tibetan people's daily life. Nomads keep yaks in herds between 20 and 100. They are used as packing animals for the nomadic tribes. Most of Tibet is treeless so dried yak dung is used as fuel for fires. Yak hair is woven into yarn and used to make tents and rope. Yak hide is used to make boots and boats. Yak meat is eaten by nearly every Tibetan family. It is high in protein with only one-sixth the fat of regular beef. Yak milk is high in fat and is usually made into butter, yogurt and cheese. so important are yaks to Tibetans that the animals are individually named just like children. Yak bone comes from animals that have passed away naturally. 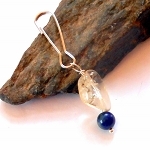 The yak bone, which is the spirit of yak, represents purity, strength and courage. In the Tibetan Genesis, it is said that "the yak's head, eyes, intestines, hairs, hoofs and heart finally changed into sun, moon, stars, rivers, lakes, forests and mountains." Yak bone is representative of the animals hardwork and devotion to man and the yak continues to be of service as they pass from this consciousness to another. Items made of yak bone honor the animal and teaches us not to fear death.